Having represented the owner, Paramount Group, on the acquisition of 670 Broadway in 2015, Current had a unique appreciation for the property. Two years after the purchase, half the building remained vacant. The only tenant in there was Equinox, which Current had procured in order to make the initial sale viable. The Current team began to showcase the retail and office space via Instagram with pictures, videos and engaging content to stir up interest. 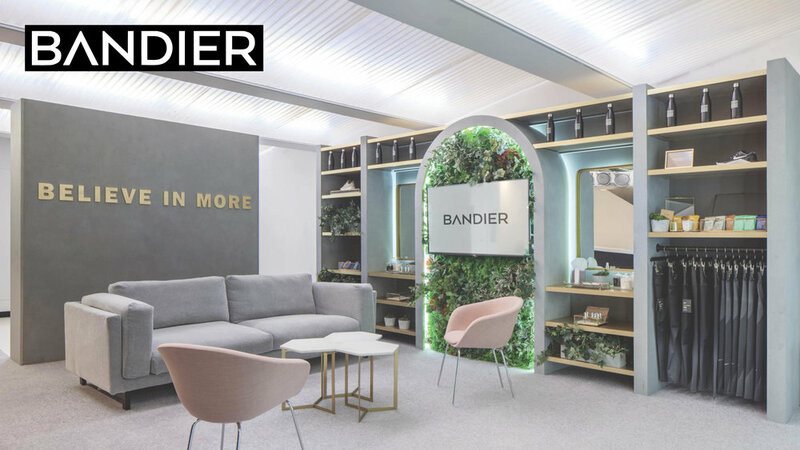 It wasn't long until Bandier took notice of the incredible space that was available. They happened to be in need of a new flagship retail location as well as a corporate office. This was their all-in-one solution. Getting a deal done took a lot of time and effort on everyone's part, but it was quite obvious that social media proved to be an incredibly powerful tool in getting a captive audience to take note of a real estate opportunity. This was not a one-time solution and there was a tremendous future for this type of approach to the market. The local real estate expertise combined with a strong social media platform produced one of the most exciting leases of 2018 as Bandier leased 6,000 SF on the ground floor and 13,000 SF on the fourth floor for their office. The relationship did not end there. Current’s social media marketing continues to bolster product sales and foot traffic. The Current team knocked down every door possible to secure this deal for its client, Zero Bond, a new private membership club founded by Scott Sartiano. Countless times it looked like this deal was not meant to be, but ultimately Current's persistence found a way to get this done and make our client's dream a reality. Current serviced Scott every step of the way. In order for the concept to be successful, he first needed to seek approval for a liquor license for this 5th floor space from a historically difficult Community Board. Current rounded up local support via a grassroots campaign directly reaching out to building owners and residents. As a result, the Community Board meetings in Soho were standing room only in support of Zero Bond. After two unsuccessful trips to the Community Board, the political climate was proving difficult, however, Current was not deterred from continuing this journey. Next up was taking the case to the State Liquor Authority which again entailed a lengthy application process and two more hearings, this time on 125th Street. Once again Current rallied the troops to come speak in support of Scott. This time around the ruling committee was more cognizant of the overwhelming community support Scott had received and approved the license. There was still more to do. Months of coordinated efforts between attorneys, expediters, architects, and contractors were required in order to get this deal to a place that was executable. If that weren't difficult enough, an attempted sales process and unrelated lawsuit within the building were derailing progress on the deal. At no point did Current give way to the overwhelming forces standing in the way of success. After more than 14 months of dedicated hard work, Zero Bond was a reality and will stand to be a preeminent private club in Manhattan opening in 2019.